Elberfeld, for the visitors, played a good game, and showed plainly that he could hold up his end with the stick. The Locals have signed Elberfeld, the youngster who played with the Bond Hills. He caught yesterday's game. This is the little phenom the Texas and Southern League bad a spat over, and finally had to call in a third party to decide who should have him. He has an eye on him, he is a splendid batter and as an Infielder he has few equals. He is a regular scoop- 'em-up at short or third, and with him the Locals are now in a position to win any game they play. 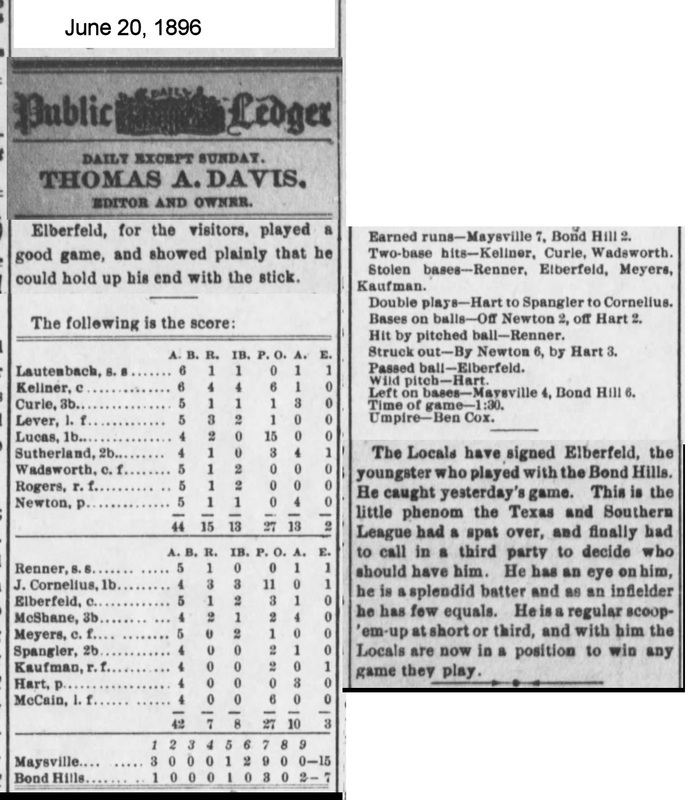 NOTE: Elberfeld played on the Maysville KY team that summer.